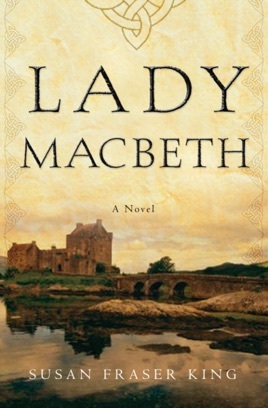 From towering crags to misted moors and formidable fortresses, Lady Macbeth transports readers to the heart of eleventh-century Scotland, painting a bold, vivid portrait of a woman much maligned by history. Lady Gruadh—Rue—is the last female descendant of Scotland’s most royal line. Married to a powerful northern lord, she is widowed while still carrying his child and forced to marry her husband’s murderer: a rising warlord named Macbeth. As she encounters danger from Vikings, Saxons, and treacherous Scottish lords, Rue begins to respect the man she once despised. When she learns that Macbeth’s complex ambitions extend beyond the borders of the vast northern region, she realizes that only Macbeth can unite Scotland. But his wife’s royal blood is the key to his ultimate success. Determined to protect her son and a proud legacy of warrior kings and strong women, Rue invokes the ancient wisdom and secret practices of her female ancestors as she strives to hold her own in a warrior society. Finally, side by side as the last Celtic king and queen of Scotland, she and Macbeth must face the gathering storm brought on by their combined destiny. This is Lady Macbeth as you’ve never seen her. 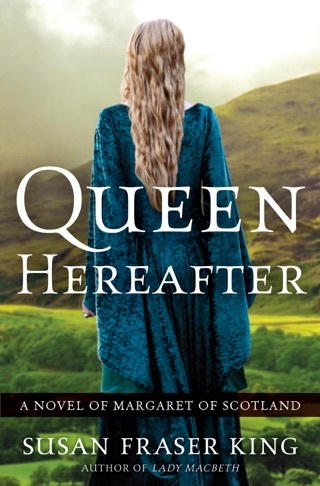 Historical romance novelist King leaps into deeper historical waters with this captivating take on Lady Macbeth, who tells her side of the story with a forceful, uncompromising daring. Gruadh, the future Lady Macbeth and the daughter of 11th-century Scottish prince Bodhe, survives several kidnappings in her girlhood and, determined to uphold the traditions of fierce Celtic women warriors, learns how to fight. Rue meets Macbeth, whose royal blood is nearly as pure as hers, but her father marries her off to the warrior Gillecomgan, of whom she grows fond. Macbeth kills him during Rue s pregnancy and immediately marries her, as is his right as victor and there soon prove to be many more compelling reasons for the match. As King Malcolm s tyranny causes unrest, the Macbeths embark on a bloody campaign to win over their countrymen. Based on historical evidence and recent theories of the era, this is an epic tale written in high-voltage prose. King s novel will thrill lovers of Shakespeare adaptations and delight anyone who wants to enjoy a ripping tale of love and ambition. Enchanting story so outside the play. Learned so much about my own ancestry of Scotland. Susan King gave such rich detail of the people and land that I felt that I was right there watching the story unfold. Now I will make plans to go to Scotland to see this landscape for myself. From a woman who loved the adventure. For any actress playing this role, any Actor as Macbeth any director defining the world around the play this is a treasure trove . Plus a great map and Genealogy chart BONUS!